2. Please tell us about your work experience, including paid and volunteer positions. If you are currently employed, please list your current job first. Use the remaining space to describe other work experiences (paid or volunteer) that relate in any way to the SMP volunteer position. 3. Please describe any skills, hobbies or experiences that would enable you to perform the duties of an SMP volunteer. 4. Do you have any medical conditions that may affect your ability to function as an SMP volunteer, or do you require any special accommodations that the SMP coordinator of volunteers should be aware of? 5. Are you licensed and able to drive an automobile? If you will be driving to and from SMP events, you will need to provide a copy of your driver's license and proof of insurance. We will collect this information at a later point in the screening process. 6. Certain conflicts between personal interests and the interests of the SMP program may exist, and could prevent a person from serving as an SMP volunteer. Examples include a licensed health insurance agent, health care provider, and financial planner. Some conflicts of interest, however, can be addressed in other ways and may not prevent someone from serving with the SMP program. If you have a business or other personal interest that may create a conflict, please describe it here so we can discuss it fully during the interview. 1. How did you hear of the SMP program? 2. Because of training that SMP volunteers receive, are you willing to commit to a minimum of one year? 3. Volunteer schedules are flexible. Would you be able to attend an SMP training/meeting held once a month? 4. Please tell us why you would like to become an SMP volunteer. I certify that the information I provided in this application is true, complete, and accurate to the best of my knowledge. I also authorize the Hawaii SMP to contact the references named below with regard to my application to become an SMP volunteer. I also authorize the persons referenced to provide information in connection with my application, and release them from any liability in regard to it. Please provide three references, including at least one professional or work reference, that are not related to you and who we may contact to ask about your qualifications (if the reference is a supervisor or co-worker, please note the organization for which the individual works). The contents of this form address the following VRPM policies: 1.7, 1.8, 3.31, 3.34, and 3.44. I hereby give my consent to the Hawaii SMP program to perform a driver's license and records check as required for the volunteer position for which I have applied. I understand that I do not have to agree to this records check, but that my refusal may exclude me from consideration for SMP volunteer positions that involve driving, including the roles of distributing information, making group presentations, and staffing exhibits. 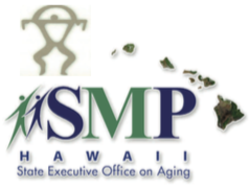 I understand that the Hawaii SMP program will limit the information it collects to that needed to determine my suitability for particular types of volunteer work and will keep all such information confidential.